Forget for a moment that you live 2000 years after the death of Jesus Christ on the cross, and forget that you have the New Testament which tells you about who Jesus was and what He did. Imagine that you pick up an ancient history book and it tells you about three men who were put to death around 33 BC for religious and political crimes. Two of them were criminals and one was a rabble-rouser, a trouble-maker, and a blasphemer. If you knew nothing else about these three men, you would assume they were most likely guilty. Imagine furthermore that rather than living 2000 years after the fact, you were a Jewish person who lived at the time of Jesus. If you had heard anything from the Jewish rabbis of your day, you would know that this man named Jesus was a threat to the peace, order, safety, and security of your life within the Roman Empire. If Jesus was the Messiah, as He claimed, He would rise up in revolt against the Roman invaders, but since He clearly did not want to go to war with the Romans, and since He often said things that directly challenged the traditions and teachings of the religious leaders, and sometimes He even seemed to say blasphemous things about the Temple and about YHWH Himself, well, Jesus was guilty. He had to die because He was guilty. Yes, this was evidence that God also was upset about what this man named Jesus was teaching, and had seen fit to make Him a public spectacle in the sight of all so that nobody would ever again seek to challenge the teachings of the religious leaders or the traditions of the Jewish people. Yes, if you were a Jew living 2000 years ago, and if you saw Jesus hanging on the cross, you most likely would have thought that He was a guilty criminal who had come under the curse of God. You would be revolted and sickened by His appearance. But looking back now, we know that Jesus was not guilty. He did not sin. 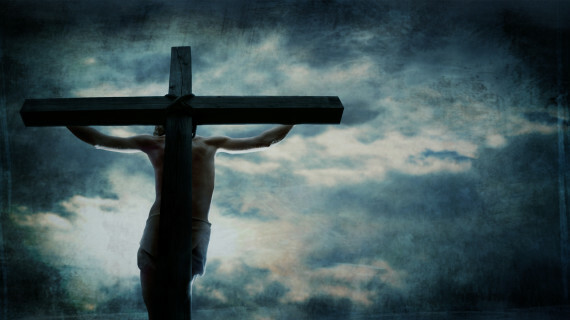 He died a criminal’s death because He went there willingly, as a sacrifice for the sins of the whole world, to take our sins upon Himself and bear them into death. But we only know this because Jesus rose from the dead and told His disciples that this is what happened, and the disciples taught it to others and wrote about it in the Bible, and the Apostle Paul—the greatest theologian in history—wrote about this theme in many of his letters. So it is also with God. From our human perspective, a God who enters into human affairs in the way that God did in the Old Testament looks guilty. Just like Jesus on the cross. As outsiders, when we look upon the appearance of God in the Old Testament, we see a guilty criminal who is doing things that nobody should ever do. This also is exactly the way some people looked at Jesus. When we read about some of the brutal and bloody things that the Israelites did in God’s name, God appears ugly and revolting. In many of the depictions there is no beauty or comeliness, that we should desire Him. He is despised and rejected by many. We do not esteem Him. Just like Jesus (cf. Isa 53:1-3). But the only reason people looked upon Jesus in this way at that time (few look upon Jesus in that way now), is because Jesus had incarnated Himself among men and had taken the sin of the world upon Himself so that He died among the wicked (Isa 53:9), bearing upon Himself the curse of the cross, and even crying out that He had been forsaken by God (Matt 27:46). But we know that Jesus was innocent, and we know that though He died as a criminal, Jesus did not die because He was a criminal, but He died for all of us who are truly criminal in our behavior toward God. Therefore, since Jesus Himself says that He reveals the Father to us, could it not be that just as Jesus was innocent, even though He appeared guilty, so also, God appears guilty of all the crimes that are ascribed to His name, even though He also is innocent? And yet just as Jesus intentionally sets His face toward Jerusalem, to take His place on an accursed cross between two criminals for the sins of all mankind and thus defeat the devil at his own game, is it not possible that in the Old Testament, God also does the same thing? Is it not possible that when God involves Himself in the violent and bloody actions of Israel in the Old Testament, it is not because God is actually doing these things, but because God wants to be hung on an accursed cross between two thieves? Isn’t one of the main reasons the Jewish people do not accept Jesus is because he did not fulfill the “requirements” of the messiah written in the Old Testament? I don’t see how this counters all of the miracles Jesus did fulfill on Earth. Yes. The Jewish people expected a warrior Messiah, and since Jesus resolutely refused to engage in violence toward sinners and the Romans, the Jews rejected Him as the Messiah. They did agree that He was a miracle-worker, of course. The evidence was undeniable. But many prophets and teachers in Jewish history were miracle workers and they never claimed to be the Messiah. One big difference. Jesus did not personally claim to be guilty. Yahweh did personally claim responsibility for the violence in the Old Testament. Assuming that the writers’ words which they ascribe to Yahweh in the OT are indeed what he said. If not, Yahweh just did what Jesus did: remained silent when accused, in this case by men who knew no better than to ascribe their genocide to God. You are correct. However, as I commented on another post, if the words ascribed to Yahweh were not truly from Yahweh, then the writers are false prophets, and the Old Testament should be rejected. And if the Old Testament is invalid, then Jesus being the Messiah means nothing, and the whole of the Gospel is forfeited. 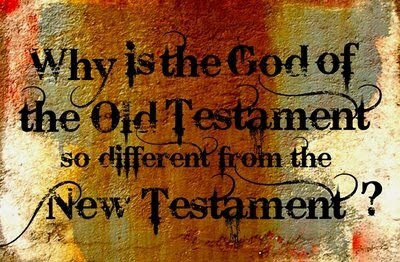 I think if any one thing in either the OT or the NT is not exactly as the Bible claims it to be then not only is the Gospel forfeited but the entire faith. You are going to have to address inspiration a bit more in this series. It is one thing to say God allowed people to write these things about him and took the blame willingly. It is another to say he actively inspired them (perhaps they wouldn’t have otherwise) to make factually incorrect statements, ascribing words and actions to him he never did. You will have to redefine inspiration as well as inerrancy. I don’t have a problem with that, but I think to be consistent, you will have to give up inerrancy and inspiration as traditionally defined. I think Timothy is right in this. But I do not believe Chuck McKnight to be right. Even if the people did not record exactly what would be spoken by God or Yaweh, still I would believe most of the stories to have value and be as true as they can be. But I still have a lot of trouble with the whole violent view, because Jesus did some stuff that we would see to as violent, just thinking about taking the whip and kicking the money tables and sales men out of the temple. Good point about Jesus in the temple. Though did He ever actually hit anyone? Maybe it was just to chase people out. Even then, hitting people with a whip is not killing them, which is what God is said to be doing/commanding in the OT. I know. I wish there were different terms I could use since I agree that I am not using the terms the way they are traditionally defined…. Jesus messed with his contemporaries’ minds/theology/religion. They considered him a significant threat to all they held dear, including their money, power, religion and way of life. They decided to exterminate him and use the “God card” to vindicate the terrible thing they did. THEY decided he was guilty. Likewise, the Jewish people exterminated their enemies in ancient times and they too used the “God card”. God supposedly told them to do what they did. They decided God did. God is guilty of nothing, unless we consider that allowing us to do evil, stupid stuff and blaming it on him makes him guilty. In my book, it makes US guilty, not God. In my opinion the Bible accurately reports what happened and what people thought about it. However, what they thought may have been inaccurate on numerous occasions, just as the guy who shot the abortion doctor thought God told him to do it. He may have thought that, but I doubt his claim is accurate. 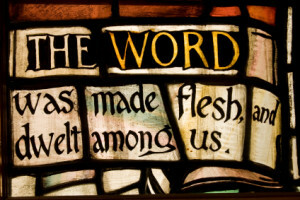 I have observed that the people I personally know who spend inordinate amounts of time discussing Biblical inerrancy follow a program: 1) The Bible is absolutely inerrant, 2) The Bible says…. I know. 3) Therefore God told me…. which I now am passing along to you (because God mostly talks to me and not to the rest of you knuckleheads). Right… I probably don’t have the view of inerrancy that you record here, though that is the dominate way it is used. And I agree that WE are the guilty ones, not God, but I do think that in some way, God takes the guilt, shame, and curse upon Himself so that we might gain His righteousness. Jesus Christ is God’s revelation of Himself. The Bible is man’s witness to God’s revelation. I keep liking your view Sam, also because I have played the God card as you so interestingly call it in the past for stuff that seems stupid to me now.